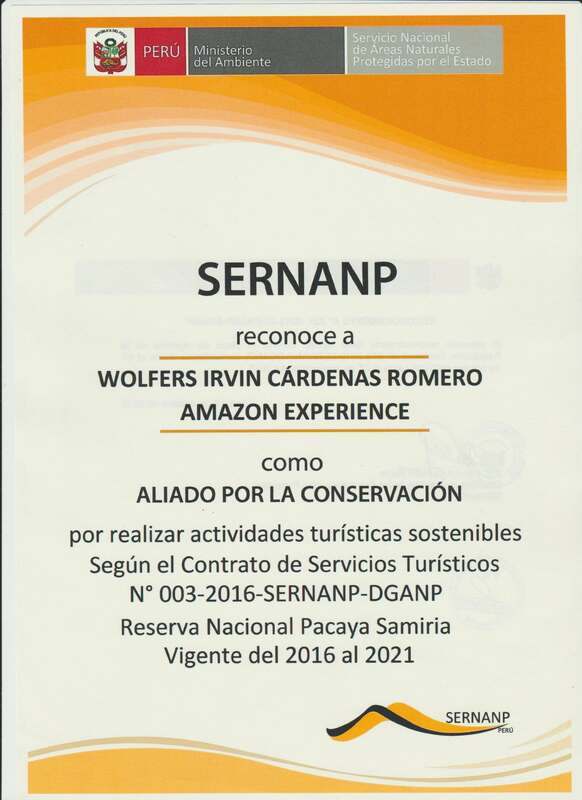 Wanna know the Pacaya Samiria National Reserve but you are travelling on a tight schedule? 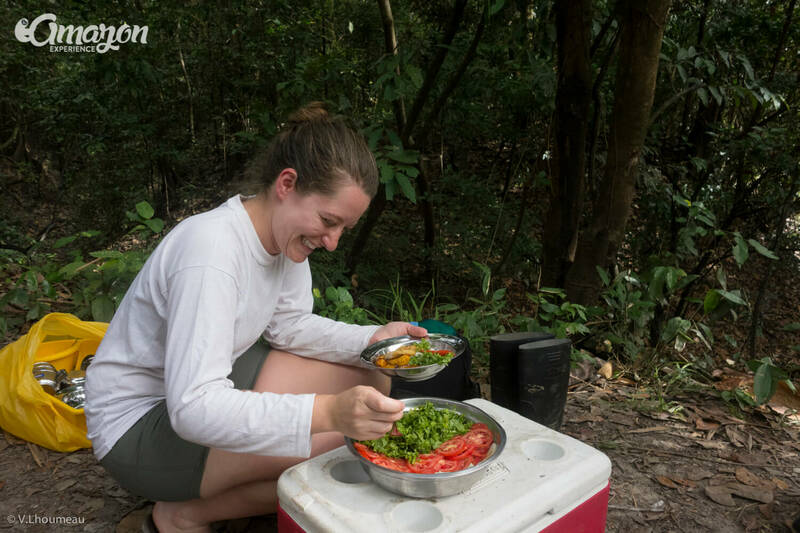 Always wanted to go camping in the Amazon jungle? We’re here to save the day! WEAR Comfortable athletic clothing, hiking boots or shoes, hat, light jacket, sunglasses and sunscreen. All our tours price are in United States Dollars (USD) and are based on a minimum of 2 passengers. If you are a solo traveller please contact us for a price quotation. If needed more flexible tours could be arranged, as well as special tours for honeymooners, big groups, students promotion and organizations. We cater to vegetarians and vegans, and encourage them by offering a 5% discount (per person) on the tour price. When you book make sure to let us know about your dietary preference to apply the discount. For non-vegetarians our meals include local fish, chicken or meat. We also offer gluten free meals by request. If you have a gluten intolerance condition (or any other food allergy) let us know in advance. We try to keep a low usage of plastic so we would highly appreciate if you bring your own personal water container to be refilled. Do you want to tag somebody or just share this with your friends? You can use the Facebook or Twitter buttons below. We are flexible, you can choose how to pay for your tour. We accept PayPal, VISA online payment, Mastercard online payment, Bitcoin and other cryptocurrencies (Ethereum, Ark, PIVX, etc) for online payments and reservations. If you prefer to pay with VISA/Mastercard online or with cryptocurrencies contact us for details on how to proceed. In our office, we accept Peruvian Soles (PEN), United States Dollars (USD), and Euro (EUR). Morning pickup from your accommodation in Iquitos, or our office, in private car or mini-van (depending on group size). We will drive south for 1 hour and 45 minutes (approx.) to arrive at Nauta town. 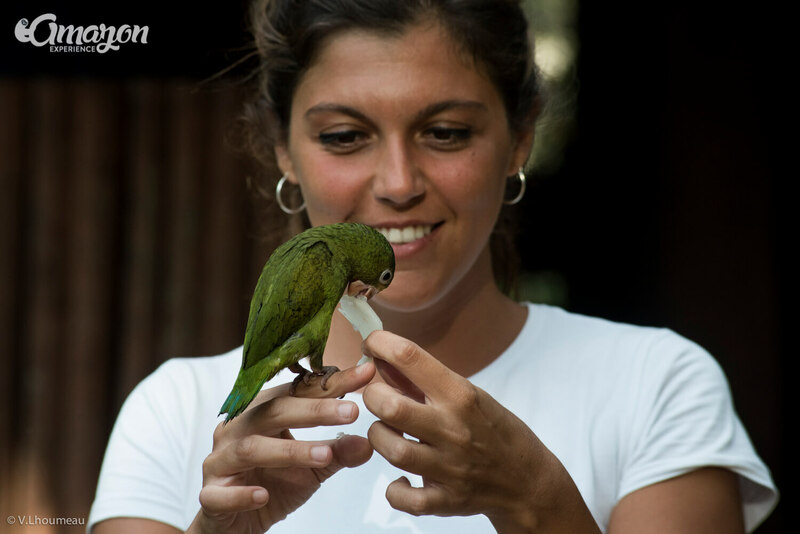 In our way there you will get a brief description of Iquitos city, its surroundings and some of its main attractions. 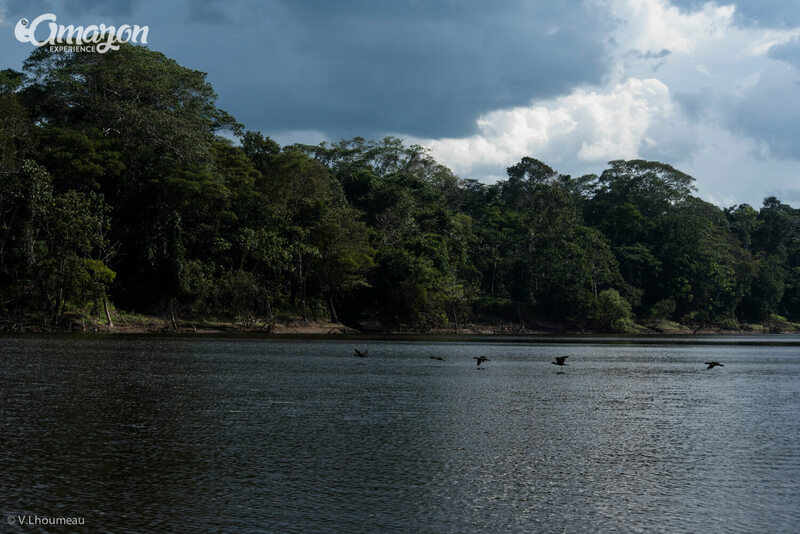 Departure by private boat from Nauta port, continuing upriver for 3 hours, enjoying the beautiful landscapes and the possibility to see river dolphins (gray and pink), herons, turtles and many other species along with spectacular flora. 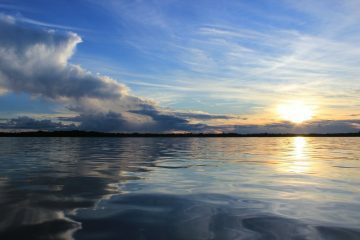 Continue navigation by boat for 30 minutes to reach the community of Buenos Aires. On our way there we will be observing flora and fauna by the riverbanks. Be on the lookout for birds, especially herons (like the capped heron or the snowy egrett) and kingfishers. Walking expedition around the primary jungle to look out for some wildlife and enjoy nature. Nocturnal hike looking for spiders, snakes, lizards, frogs or rodents, hearing the different sounds of nocturnal animals. Overnight at typical village house in Buenos Aires community. We will sleep on individual beds with mosquito nets. We get up early to enjoy the sunrise in the rainforest and then, start our expedition. We will be on the lookout for monkeys and sloths. After that, we will hop on a canoe and explore the riverbanks, always attentive to movements and sounds so we can see fauna in their morning routines by the river. 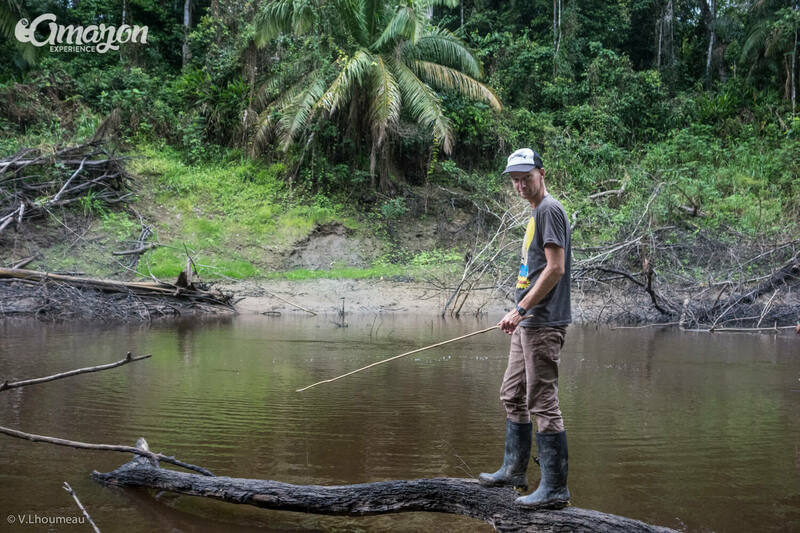 Navigation around 3 hours in the Pucate river, getting deeper and deeper into the primary jungle. 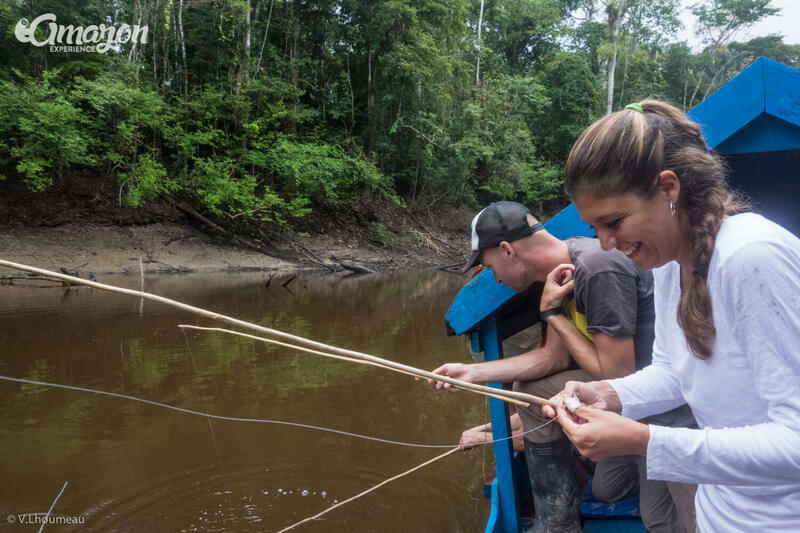 We will take you by boat to try some artisanal piranha sport fishing, the way locals do it. The guide will instruct you, help you and provide you with all the equipment needed. If you are skillful you can even catch Acarahuazu (Oscar fish), Fasaco (Common trahira) among others. Observation of pink dolphins (Inia geoffrensis) and gray dolphins or tucuxis. 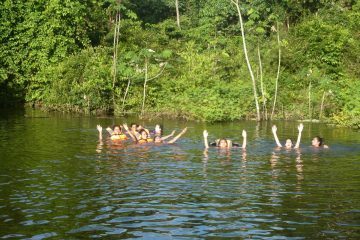 Here is your chance to jump into the Pucate river and swim inside the Pacaya Samiria. 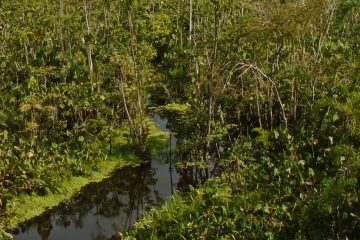 Jungle walk in the virgin rainforest where we can observe the flora and the fauna of the Amazon. 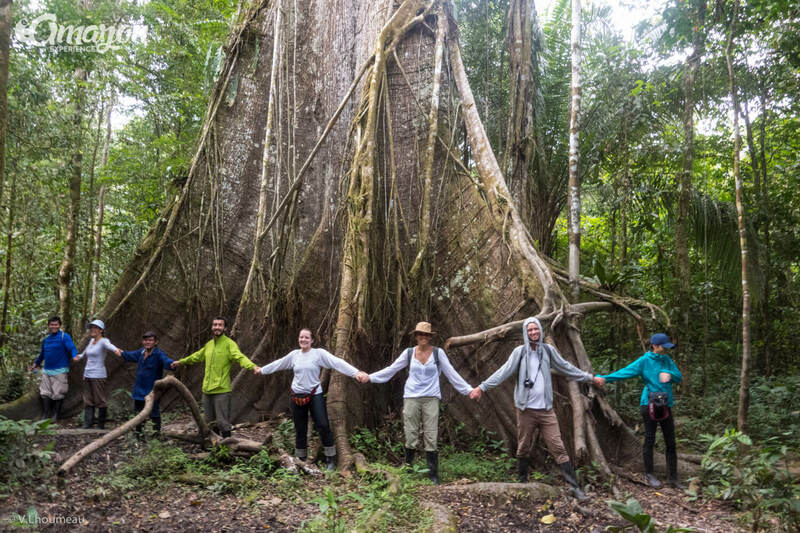 Walking tour to see the Lupuna, one of the biggest trees in the Amazon rainforest. Exploration of Iricahua lake (cocha). To get there we will walk around 2-3 hours into the jungle. In Iricahua we will have the chance to see different monkey species like the Woolly monkey (mono choro), Howler monkey (mono aullador), Titi monkey (mono tocon or mono fraile), among others. Also, this lake is inhabited by Paiche (Arapaima Gigas), the biggest fish in the Amazon rainforest. Other animals we can see here are turtles and caimans looking for some sun. 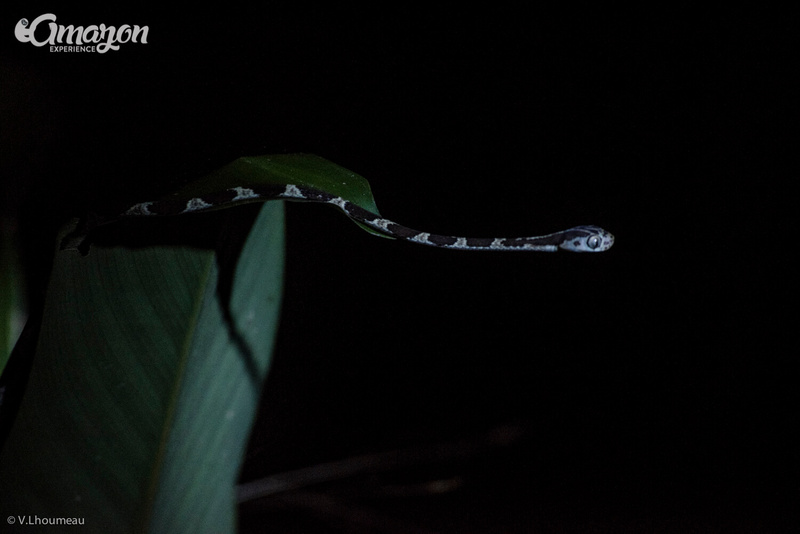 Nocturnal expedition to find and see white and black caimans (big river lizards). Set up camping site. Camping in the primary jungle. We will sleep in camping tents. Early morning canoe excursion to wake up your senses. We will go bird watching. This is the best time to see wild birds in its own habitat by the riverbank and inside the jungle. Jungle walk looking for primates, exploring the surrounding lakes (cochas) on the lookout for wildlife. We start our way back, stopping at Buenos Aires community to stretch out our legs and get the chance to contribute to the community by buying their hand-made handicrafts if you decide to do so. Return by boat to Nauta town. Ground transportation from Nauta to Iquitos. Arrival at our office, or if you prefer we will bring you to your accommodation in Iquitos or the airport. 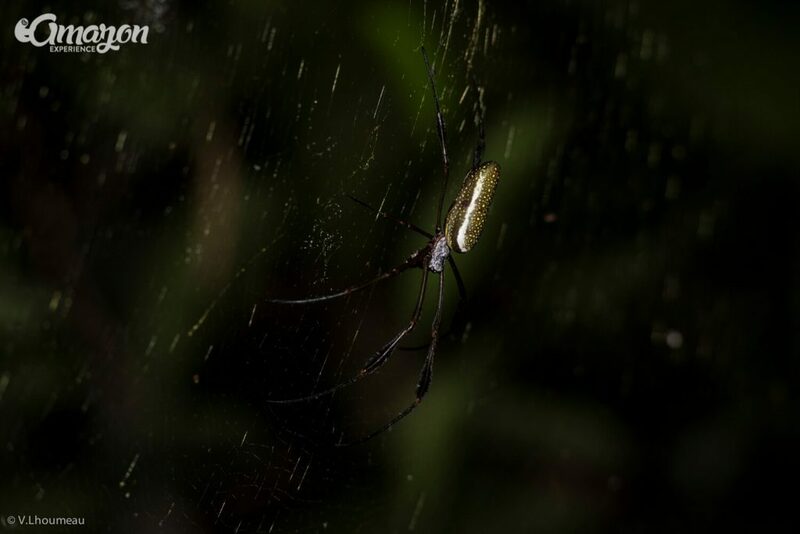 Camping inside the Pacaya Samiria National Reserve, located approximately 180 kilometers to the south of Iquitos. First we take a private van from Iquitos to Nauta. It takes approx. 1 hour 45 minutes. 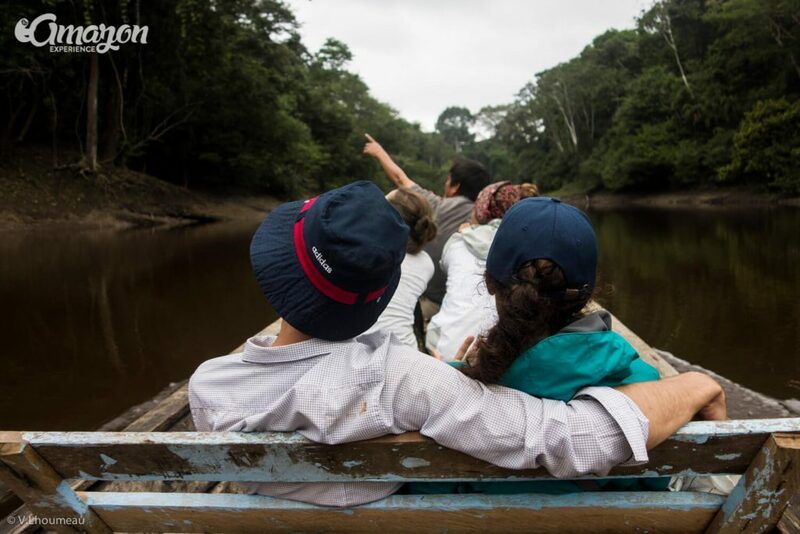 From Nauta we take a motorboat upstream for 3-4 hours to arrive at Buenos Aires community, inside the Pacaya Samiria National Reserve. A sturdy pair of broken-in trail shoes, boots, or sneakers. Your own personal water container, to be refilled at any time. This way we can reduce the usage of plastic.